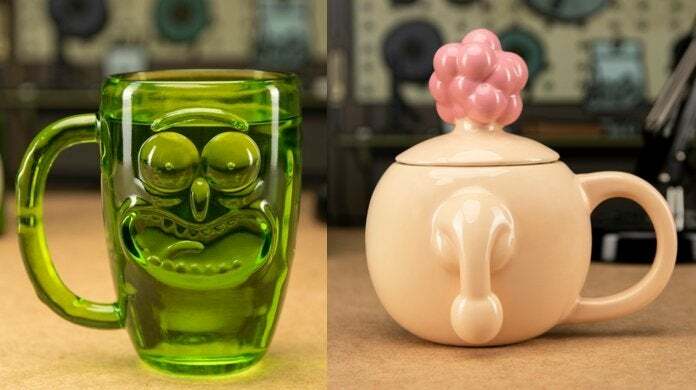 Rick and Morty fans have two new, Adult Swim-official drinkware options, and one of them might draw some unwanted attention from the uninitiated. I think you know which one I'm talking about. 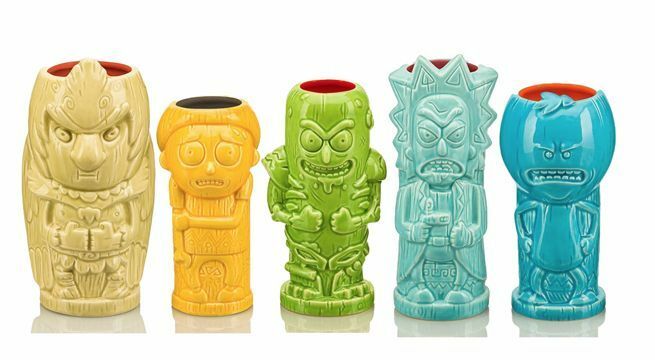 If you liked the Pickle Rick and Plumbus mugs, you might be interested in these Rick and Morty Geeki Tikis. They're a merchandising match made in Heaven. Or maybe Hell. Either way, it makes a lot of sense. Now, if you want to find out what a Plumbus smells like, you can finally make it happen. We're joking of course. You already know what a Plumbus smells like. Everyone has a Plumbus! However, this official Rick and Morty candle allows you to fill the room with the scent a Plumbus at the peak of freshness. You've never smelled Fleeb this fresh, let me tell you. The Plumbus candle can be ordered here for $18.99 with free US shipping. Then again, you might want to savor the delicious scent of your own completion with Simple Rick's wafer-scented candle. Come home to the scent of Simple Rick's and order one here. Finally, you can use this Portal Gun bottle opener to open the beverages that you pair with your new Rick and Morty mugs and glasses.